I want to remind all readers that this series of articles rating the junior hockey leagues in North America is based upon independent opinions and analysis of scouts throughout the United States and Canada. This rating is based upon the 2017-2018 season and nothing more. A leagues history does not come into account in any way. It is a statement on development of players and how hard those leagues work to move players up to higher levels. The criteria that was used in rating these twenty leagues, was how do teams within the leagues compare when developing players who move on to the NHL, NCAA, Canadian University, USHL, NAHL, Canada Junior A and Major Junior hockey programs. The USHL is the dominant path for development now. Anyone arguing that fact is probably Canadian or well into their 60’s and on the back side of their hockey career. The majority of NHL free agent signings come through the USHL to NCAA path. The continuously increasing NHL drafted player numbers from the USHL is measurable. Still one of the best leagues in the world, the OHL no longer dominates. A lack of depth is reducing its numbers of players moving on. The OHL knows this and it is one of the primary reasons they began taking European goalies in the league again this year. Hopping to prop up numbers with goaltender development. The WHL is what everyone expects. A factory for physically dominating defensive prospects. That didn’t change this year, and doesn’t look to be changing any time soon. The NAHL is the leader in direct to NCAA placement at the division one level. It is the league of players who tend to develop a little later. The NAHL is older, and a harder league to play in than other Tier II leagues because it is older and more experienced. The BCHL is simply out pacing the rest of Canada when it comes to NCAA and CIS placement. Many of those NCAA players are moving on to professional hockey. When other leagues in Canada decide to stop complaining and start copying, you will see talent once again shift north. Until that happens though, the BCHL will dominate Canada for the foreseeable future. The QMJHL is hanging on to the number six spot. The league while still producing some NHL talent has largely become an afterthought in Canada. Until the CHL decides to jump in and find a way to help the league it will continue its steady decline. It simply isn’t a league that is attractive to top prospects. The NCDC with its numbers of players heading to NCAA D-1 combined with its D-3 commitments is on the rise. The league in its first year proved that its geography and free to play hockey can pay immediate dividends for players. The EHL continued to lead the United States in NCAA D-3 and D-2 placements. 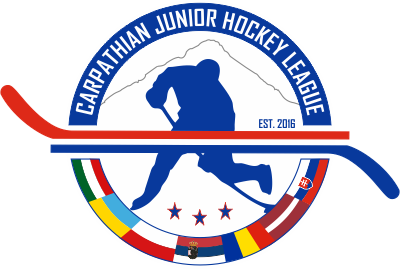 While also moving a number of players on to higher levels of junior hockey, the EHL is embracing a development ladder philosophy. 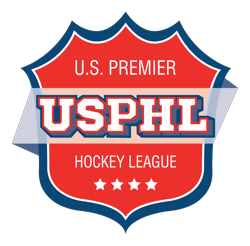 The USPHL Premier is still one of the top development leagues in North America. Moving players to Tier II and NCAA programs is a daily occurrence. While the NCDC has taken the lead in the USPHL family, the Premier is still an excellent development league. The AJHL has taken advantage of its new found level of attention from NHL scouts. This attention has benefitted all players with increased exposure, and higher levels of scouts in the buildings on a regular basis. The GOJHL, based on the volume of players moving on to the OHL as well as other Canadian Junior A leagues continues to show why it is one of the top development leagues in the world. The OJHL experienced another drop in player movement this year. While that is not easily explained, it is becoming predictable with a decline in talent trying to play in the league. Clearly they have crippled themselves by limiting the number of older players in the league, forcing them to the United States or other leagues in many cases. The CCHL also experienced a drop off in player promotion this year. The USPHL – Elite had its development numbers bolstered through the southern based teams producing more home grown prospects. The NOJHL is a good league. Its own confusion on what kind of development model they want to embrace is the only thing holding it back. The SJHL once again elevated their efforts to promote players again this year and it paid off. Moving forward such efforts will continue to help elevate the league in the eyes of scouts. The KIJHL continues to improve. Its efforts are being noticed by scouts at all levels. The SIJHL is getting better. Once they actually get a plan on how to promote players to NCAA programs it could surprise a lot of scouts. Steady development and promotion for BCHL teams is will keep development numbers up. We simply can not count mandatory “tenders” given by the NAHL as legitimate development opportunity. It is a gimmick and the truth is now out. This concludes our rankings for 2018.